Offering you a complete choice of products which include self priming pump. Backed by a developed infrastructure unit, we are able to manufacture, supply and exportSelf Priming Pumps. Operated using the best available techniques, these products have a low energy usage and require very less maintenance. 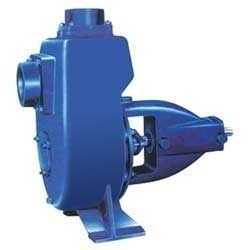 Known for their optimum performance and user friendly controls, these products have earned a high demand among our prestigious clients in the international market.Self Priming Pumpsare available with us in different specifications and models depending on the requirements of the clients. Looking for Self Priming Pumps ?